Highly recommend The River Hostel. 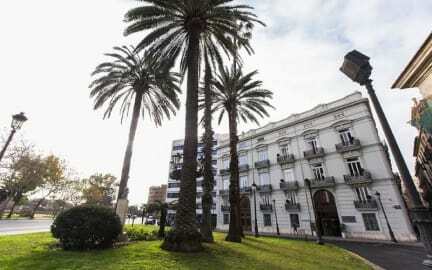 It's very well located in the old town and with the beautiful Turia parc across the street. You can bike through this former river to the famous buildings of the city of arts and sciences and the seaside in 20 min. If you bike all the way to the end along the beach you'll find the wonderful restaurant (with the best fresh food and nicest garden) La mas Bonita. Very popular so reservation rec. The hostel is very clean and the staff is very nice and helpfull!! Good hostel nothing to complain about. Quiet in the night and a good place to get to know other people. One of the best hostels I've stayed in. Great kitchen, central location, good breakfast buffet (! ), curtains, light and outlet by the bed. There is a wide variety of people staying here, from every age. Atmosphere depends on the fellow travellers, but furthermore this hostel has everything you need. Goed hostel en prima gelegen ten op zichte van het centrum. Bedden zijn ruim en slapen goed. Ruime kamer en goede ruimte voor opbergen spullen. Personeel is aardig en behulpzaam. Toiletten zijn goed schoon evenals de douches. Goed warm water. Breakfast was very good! They have nice events/activities. The location was good. The beds were good. It’s a pitty that they don’t have outside chillings (terrace or rooftop). The toilets cabins where dirty/smelly. In total; I had a good stay! We werden een dag van te voren gecancelled bij the river hostel, wat we niet erg netjes vonden. Wel werden we gelijk naar een ander hostel doorgestuurd (the Purple nest hostel), wat wel weer fijn was. Dit hostel had jammer genoeg niet heel veel sfeer. It is a nice hostel, lots of things to do, and organized by the hostel. But the quality of these activities are very poor and it almost feels like a scam. Don't do the pub crawl and free walking tour organized by the hostel. You have to be quiet at 10 aclock in the living room, even in the weekend!! No music no games. 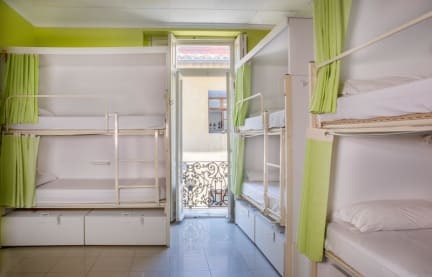 It's a nice hostel if you want to go early to bed and don't want to meet new people. Kitchen is warm and damp. Staff is oké.